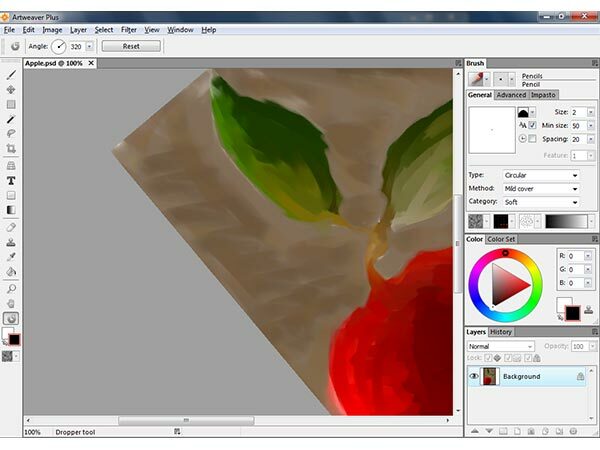 Artweaver is a freeware program for Windows that is designed to emulate the ever-popular Photoshop. Artweaver supports many different types of digital brushes and image-editing tools, and can be used to edit the most common image formats such as AWD (Artweaver), BMP, GIF, JPEG, PCX, TGA, TIFF, PNG, and PSD (no PSD layer support). Artweaver is available in many different languages, and a portable version is available as well. This version is for free and it is only allowed to use it for non-commercial and academic purposes. Crippled version of a Pro version that you must buy. This is an excellent free alternative to PhotoShop. A keeper!